I love coming up with magic love notes for kids. We originally tried these magic loves notes that my husband had written for my daughter while he was away at a conference. But, this time, we didn’t make magic love notes because my husband was traveling. I had only been gone fifteen minutes to run into a store. But, when I came back to the car, I could hear, “No, over there!” I saw my husband smiling, so I knew that everything was okay (sort of). Apparently, my daughter had been trying to explain where a store was that she wanted to go to while they waited for me. He didn’t know what she was talking about, she couldn’t remember the name…and, it got her FRUSTRATED! When I entered the scene, I was able to name the store which calmed her for a second, then she freaked out again because it was too late to go to this store, then she got out of the car at home and slammed into the closing car door – HARD – and fell apart again (justifiably, it HURT! )…but, it was just one thing after the other. That’s what happens when we skip naps on the weekend. I told my husband that we should make magic love notes for her just so she knows how much we adore her – even when the tears don’t stop flowing and we can’t take her to her favorite store. 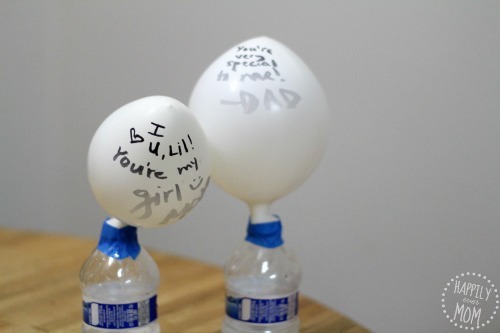 My daughter was in absolute awe when then magic love notes came to life and they were so easy to make! Can you see her excitement?! 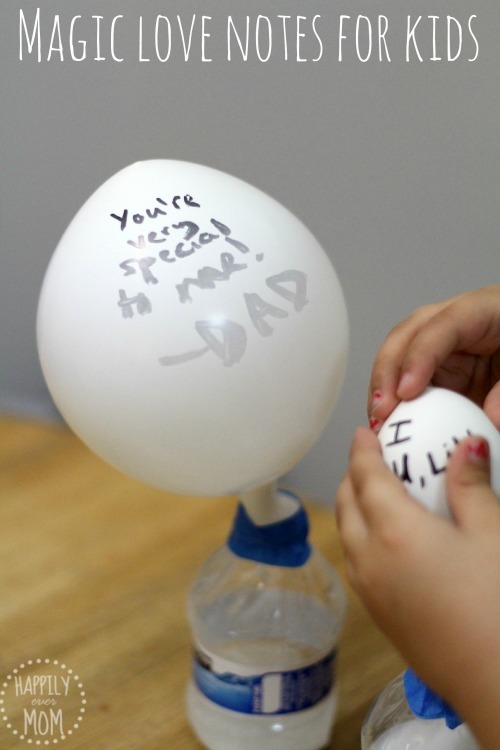 Let your little one shake the contents of the balloon into the bottle and watch your magic love notes expand!! The moral of the story is that magic love notes don’t have to happen on special occasions. Everyday is a reason to celebrate how much we love our kids. 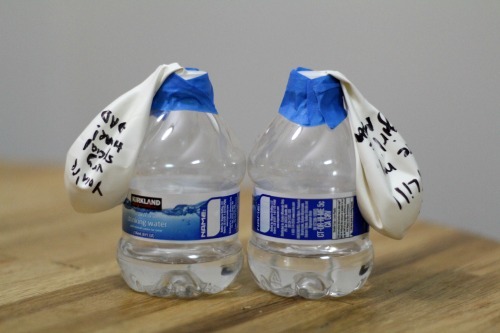 Oh, and it can ABSOLUTELY be a science lesson for them, too – bonus!! If you like this activity, come tell us how you celebrate your kids on our Facebook page – we’d love to hear from YOU!! AWESOME! I love this idea Katie! What a cool activity! How much I love this. You guys are super super good parents. She is so lucky! Tried this tonight with my 6 year old son with great success! 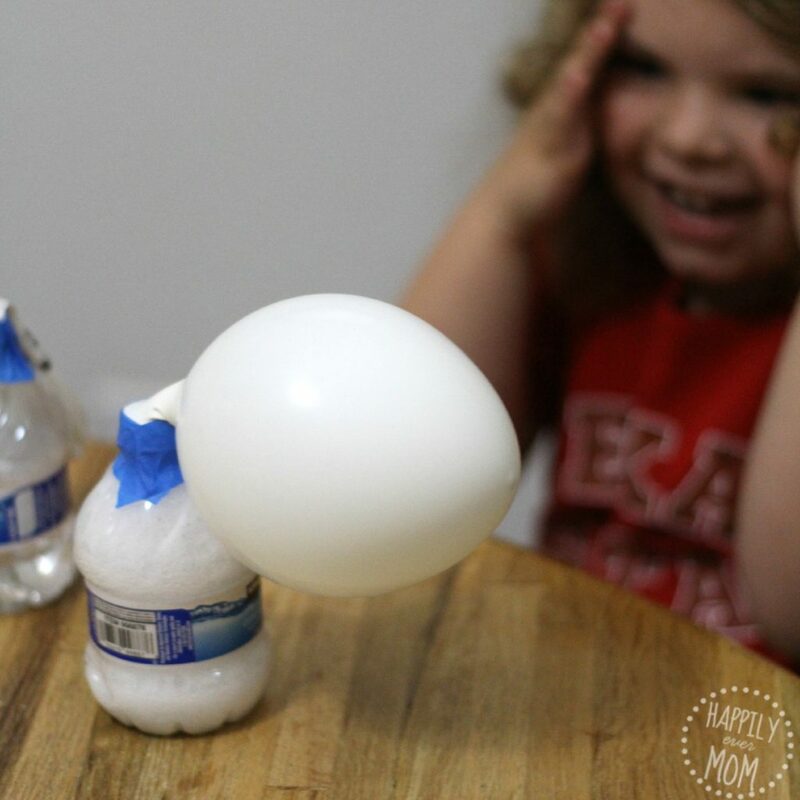 Love easy, quick science experiments like this to incorporate learning even when he’s away from school. Thanks for a great idea! I’d love to post about it on my own blog. Let me know if that’s ok with you! I’ll surely link back to you! This is a really great idea! Fun, educational and full of love! Hi! I use wordpress and bought a theme to customize. Thanks so much for the comment and best of luck on blogging – it’s so fun! !